These 2 projects aim at enhancing the existing reservoirs in Repele district and Rapadaya district by rehabilitating the embankments and cleaning up the existing reservoirs, which were built in the phase 1, assisted by the Embassy of Japan last year. 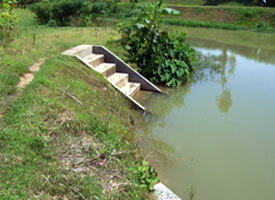 Madura Island constantly suffers from a shortage of water. Moreover, the island has about 300,000 of IDPs from Central Kalimantan resulted from the ethnic conflict in March, 2001. These projects will provide secure water reserve for those IDPs and also local population in these 2 districts. 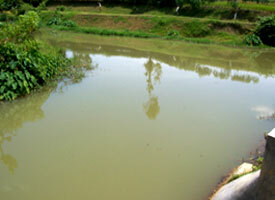 The irrigation office of Sampang Regency Madura Island will implement these 2 projects. The amount of the grant for these projects is up to ¥ 19,814,264 (approximately US$ 162,000 or Rp. 1.3 billion).